A group of young friends journey to a remote cabin for a short vacation not knowing what is awaiting their arrival. Deep in the woods of Tennessee the group unpacks their belongings in the cabin and settle in for the night. Wandering thru the house a book bound in human flesh and inked in blood is found with a tape recorder. Sitting around the fireplace they decide to play the tape recorder, in doing so the awake something horrible within the woods, and it comes for them with a vengeance. Only the dawn will save them, but will any of them make it till dawn. Given almost the highest of Roger Mooreâ€™s Ratings Evil Dead does receive Two Skipped Beats out of the Heart Stopping Rating System. 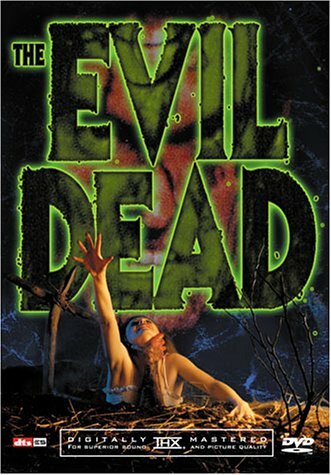 Before Sam Raimi did spider-man there was his first film, The Evil Dead and when it originally came out it truly was a grueling experience in horror, so stated from Stephen King. Staring Bruce Campbell as Ash in his most famous role, this film was on a low budget but filming was done with the highest of excellence. A true original story with more than one twist and turn, With performances from some still unknown actors and actresses this movie is at the very top of my list as greatest movies ever made. Inspiring two sequels, multiple T-Shirts and merchandise including everything from lunchboxes to action figures, this movie has it all for every horror fan.